Last week we took our scanning equipment to San Pedro Bay, located between Long Beach and Los Angeles and the largest port in the US. 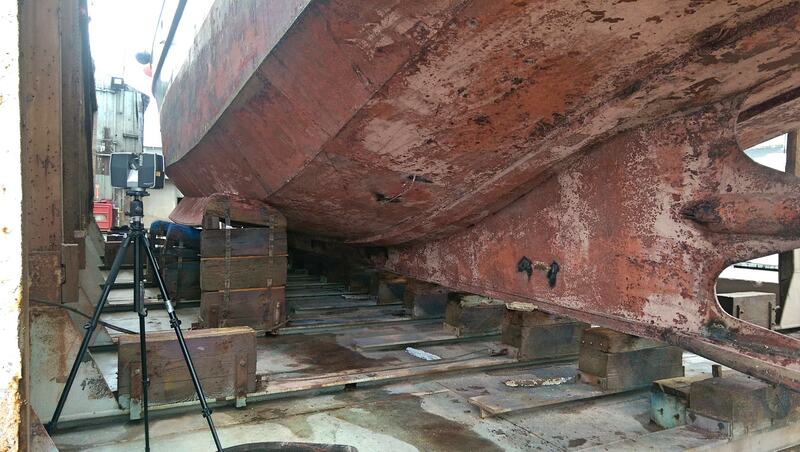 The Al Larson Boat Shop has been in operation for 100 years making it the oldest shipyard in SoCal. Serving as a high quality repair and outfitting for both commercial and recreational customers, this boat shop serves as a one stop shop for any and all boat and marine equipment repair. Our client has a large fishing vessel that he wanted to make design changes in order to better outfit his ship with upgraded equipment. He needed a way to get exact as-built dimensions and geometry to provide the naval architect working on his design. 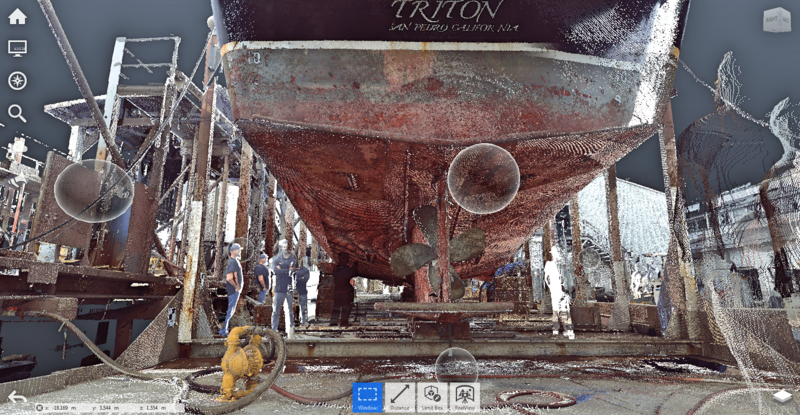 Using our Faro Focus 3D, we strategically placed our scanner at multiple scanning points around and under the ship. Within a few hours, the scans were complete and we had an accurate point cloud representing the entire hull. With this amount of data and detail, our client can now provide the scan with confidence to his architect to get the design changes he requires, foresee any potential issues, and get a full 3D model of the ship. For more information regarding the Al Larson Boat Shop, click here. 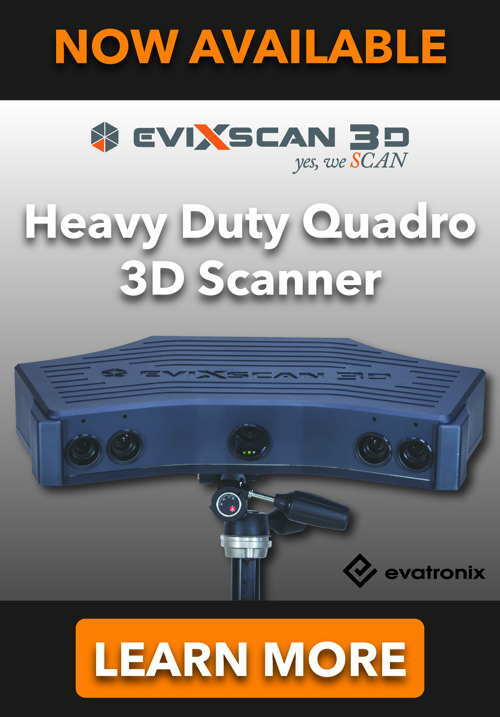 For more information about our 3D scanning services, click here.